In January of 2018 I began teaching English as a second language (ESL) at my local Literacy council as a volunteer. I loved it so much that I completed a certification course this past summer that will allow me to teach English as a foreign language (EFL) overseas. 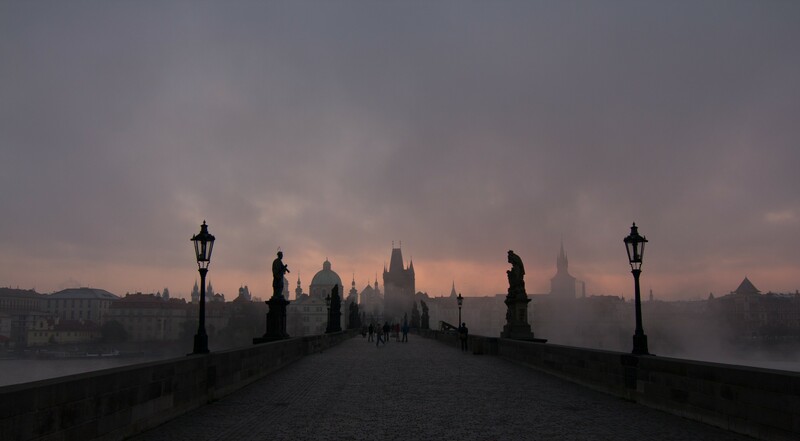 It is my dream to move to the Czech Republic and do just that. Hopefully sometime in 2019. Of course, there is a lot to consider and a lot to be arranged before uprooting myself at age 59 and moving to another country where I know only a smattering of the language. This blog is about how I’m making my dream a reality. It’s about the excitement and hope, my doubts and my fears along the way, as well as the practical and logistical preparations that I’ll need to arrange. It is my intention to continue writing about my experience once I arrive in Prague, how I found a job, a place to live, etc. For me, it will be a record of my journey, and maybe for some of you, a template to follow in my footsteps! But this blog has a bigger picture, an over-arching theme that anyone who has ever had to start over again in life can relate to. It’s about personal growth and change, and the courage to re-invent yourself no matter your age and no matter how scary the circumstances. I’ve had to do it so many times before in my life, and now I find myself doing it again in a big way. So, even if it isn’t your dream to pack up and move to a foreign country, I hope that you will be my companion along the way as I honestly share my experiences. Born out of necessity, if nothing else, my mantra has always been, “it is never too late to become the person you were meant to be.” Do you believe this too? Then click “Follow” this blog and find out what happens!